เขาได้ให้ผู้ป่วยที่หายจากมะเร็งเต้านมจำนวนหนึ่ง ฝึกนั่งวิปัสสนา ครั้งละ 90 นาที เป็นเวลา 2 เดือน และแนะนำให้ไปปฏิบัติด้วยตนเองที่บ้าน วันละ 45 นาทีอีกด้วย. Summary: For the first time, researchers have shown that practicing mindfulness meditation or being involved in a support group has a positive physical impact at the cellular level in breast cancer survivors. For the first time, researchers have shown that practising mindfulness meditation or being involved in a support group has a positive physical impact at the cellular level in breast cancer survivors. 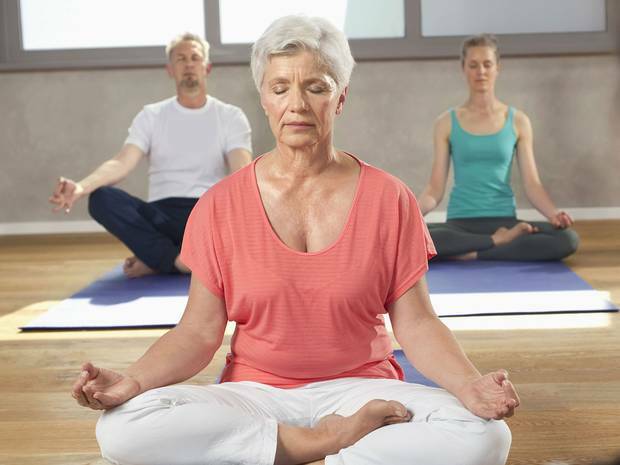 A group working out of Alberta Health Services’ Tom Baker Cancer Centre and the University of Calgary Department of Oncology has demonstrated that telomeres — protein complexes at the end of chromosomes — maintain their length in breast cancer survivors who practise meditation or are involved in support groups, while they shorten in a comparison group without any intervention. The study was published online in the journal Cancer. Study participant Deanne David was also placed in the mindfulness group. The above story is based on materials provided by Alberta Health Services. Note: Materials may be edited for content and length. Using data from 47 earlier studies, researchers found moderate evidence to support the use of mindfulness meditation to treat those conditions. Meditation didn’t seem to affect mood, sleep or substance use. Goyal led the study at The Johns Hopkins University in Baltimore. 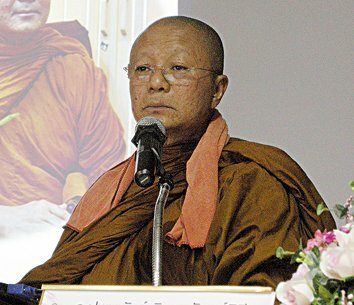 He and his colleagues write in JAMA Internal Medicine that meditation techniques emphasize mindfulness and concentration. 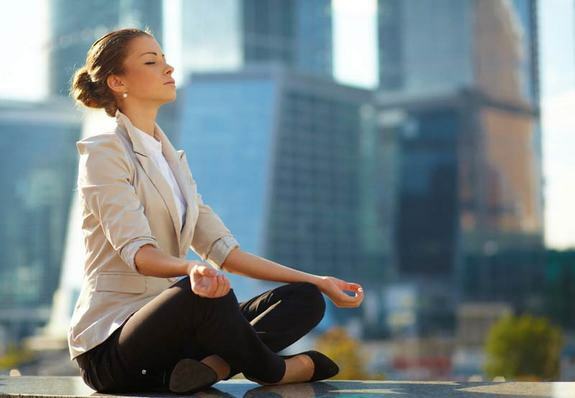 So-called mindfulness meditation is aimed at allowing the mind to pay attention to whatever thoughts enter it, such as sounds in the environment, without becoming too focused. Mantra meditation, on the other hand, involves focusing concentration on a particular word or sound. 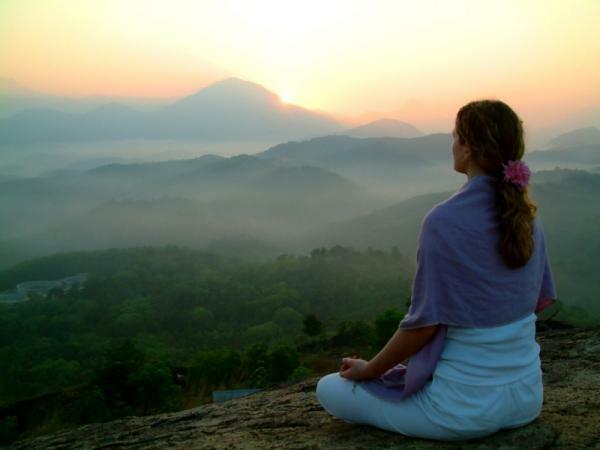 Approximately 9 percent of people in US reported meditating in 2007, according to the National Institutes of Health. About 1 percent said they use meditation as some sort of treatment or medicine. For the new report, the researchers searched several electronic databases that catalog medical research for trials that randomly assigned people with a certain condition – such as anxiety, pain or depression – to do meditation or another activity. 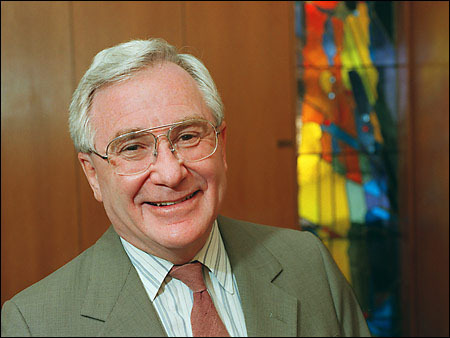 These randomized controlled trials are considered the gold standard of medical research. The researchers found 47 studies with over 3,500 participants that met their criteria. After combining the data, Goyal said his team found between a 5 and 10 percent improvement in anxiety symptoms among people who took part in mindfulness meditation, compared to those who did another activity. There was also about a 10 to 20 percent improvement in symptoms of depression among those who practiced mindfulness meditation, compared to the other group. “This is similar to the effects that other studies have found for the use of antidepressants in similar populations,” Goyal said. Mindfulness meditation was also tied to reduced pain. 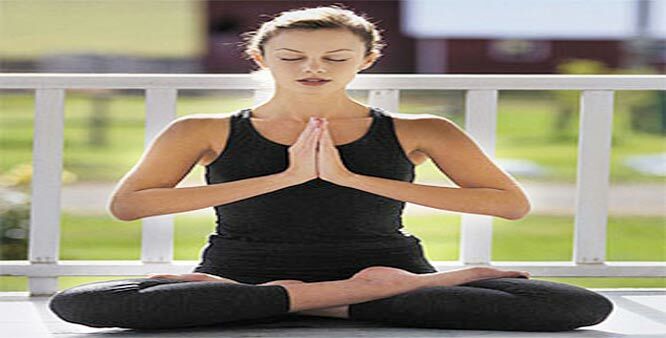 But Goyal said it’s hard to know what kind of pain may be most affected by meditation. The benefits of meditation didn’t surpass what is typically associated with other treatments, such as drugs and exercise, for those conditions. But he noted that the researchers didn’t find anything more than moderate evidence of benefit from meditation for anxiety, depression and pain. There was some suggestion that meditation may help improve stress and overall mental health, but the evidence supporting those findings was of low quality. There was no clear evidence that meditation could influence positive mood, attention, substance use, eating habits, sleep or weight. “Clinicians should be prepared to talk with their patients about the role that meditation programs could have in addressing psychological stress, particularly when symptoms are mild,” Goyal said. Dr. Allan Goroll, who wrote an editorial accompanying the new study, told Reuters Health the analysis is an example of an area of much-needed scientific study, because many people make treatment decisions based on beliefs – not data. Goroll is professor at Harvard Medical School and Massachusetts General Hospital in Boston. Goyal said people should remember that meditation was not conceived to treat any particular health problem. นักวิจัยได้ทดสอบกับผู้เข้าร่วม 38 คน โดยแบ่งออกเป็น 2 กลุ่ม ให้เข้าทดสอบฟังเสียงนับเลขของ 1-9 โดยไม่เรียงกัน พวกเขาจะต้องคอยฟังและจำให้ได้ว่า ตอนไหนเลขคู่ หรือเลขคี่ โดยให้กลุ่มหนึ่งเคี้ยวหมากฝรั่งไปด้วย ผลปรากฏว่า กลุ่มที่ปากอยู่เฉยๆ จะทำคะแนนได้ดีในช่วงต้นๆ แต่เมื่อทำไป จะถูกกลุ่มที่เคี้ยวหยับๆ แซงขึ้นหน้าไปในที่สุด ซึ่งส่อว่า มันช่วยทำให้ใจจดจ่ออยู่ที่งาน ที่ต้องคอยตามติด เป็นช่วงระยะเวลานาน. LONDON: Chewing gum can help you stay focused for longer on tasks that require continuous monitoring, a new study has claimed. Research by Kate Morgan and colleagues from Cardiff University focused on the potential benefits of chewing gum during an audio memory task. Previous research has shown that chewing gum can improve concentration in visual memory tasks. “It’s been well established by previous research that chewing gum can benefit some areas of cognition. In our study we focused on an audio task that involved short-term memory recall to see if chewing gum would improve concentration; especially in the latter stages of the task,” Morgan said. The study involved 38 participants split into two groups. Both groups completed a 30 minute audio task that involved listening to a list of numbers from 1-9 being read out in a random manner. Participants were scored on how accurately and quickly they were able to detect a sequence of odd-even-odd numbers, such as 7-2-1. Participants also completed questionnaires on their mood both before and after the task, the British Journal of Psychology reported. 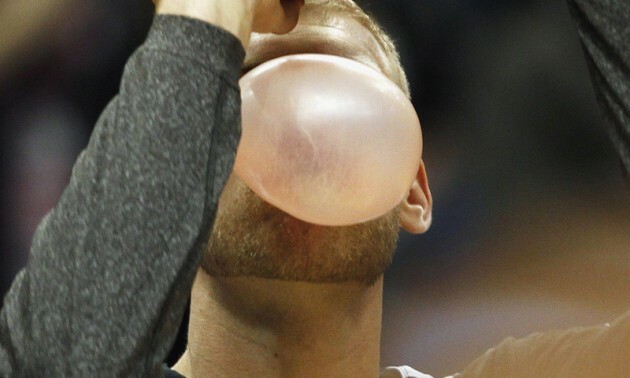 The results showed that participants who chewed gum had quicker reaction times and more accurate results than the participants who didn’t chew gum. This was especially the case towards the end of the task. “Interestingly participants who didn’t chew gum performed slightly better at the beginning of the task but were overtaken by the end. This suggests that chewing gum helps us focus on tasks that require continuous monitoring over a longer amount of time,” Morgan said. Mindfulness can induce changes not just in the function of the brain, but in the brain’s structure itself, neuroscientists are finding. 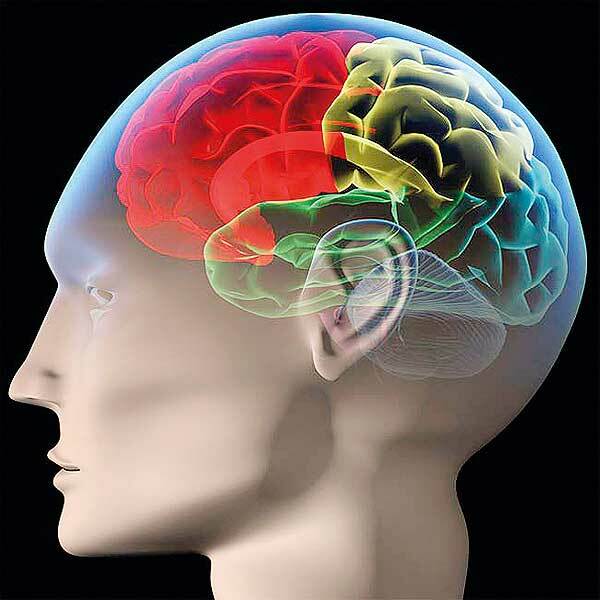 NEW YORK — Throughout life, even shortly before death, the brain can remodel itself, responding to a person’s experiences. This phenomenon, known as neuroplasticity, offers a powerful tool to improve well-being, experts say. “We now have evidence that engaging in pure mental training can induce changes not just in the function of the brain, but in the brain’s structure itself,” Richard Davidson, a neuroscientist at the University of Wisconsin-Madison, told an audience at the New York Academy of Sciences on Thursday (Feb. 6) evening. The brain’s plasticity does change over time, Davidson pointed out. For instance, young children have an easier time learning a second language or a musical instrument, he said. 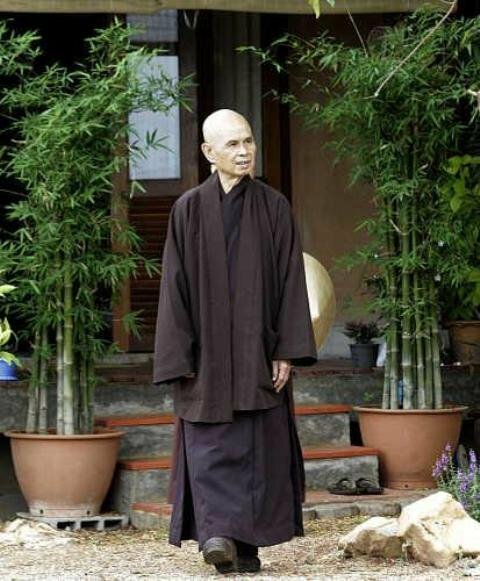 “Mindfulness is awareness that arises from paying attention in the present moment, nonjudgmentally,” Kabat-Zinn said. Jha’s personal interest in mindfulness arose from stress. As a young professor and mother under pressure from her job and family life, she ground her teeth so much that it caused numbness, interfering with her ability to speak. Jha attended a presentation Davidson gave and was startled to hear him say meditation, which cultivates mindfulness, could promote a positive pattern of electrical activity in the brain. It is also possible to practice awareness without choosing a particular object upon which to focus; however, “that turns out to be quite a challenging thing to do,” he said. “When you see you are not your thoughts or your emotions, then you have a whole different palette of ways to be,” Kabat-Zinn said. “Is mindfulness a spiritual practice?” Paulson asked the panelists. 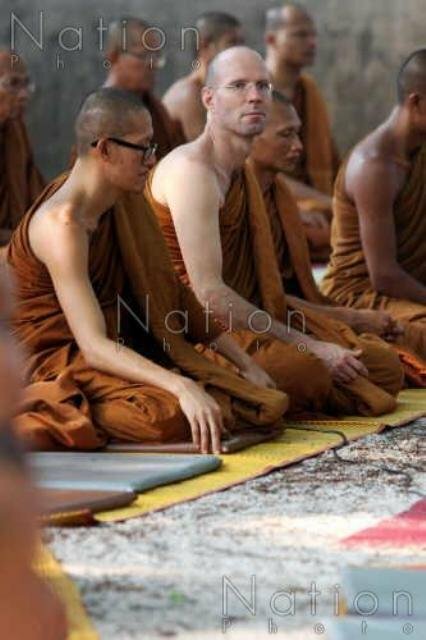 Buddhist monks, whom Davidson has studied, provide a “sample of convenience,” a group of people who have all received the same training, an important consideration for research, he said. 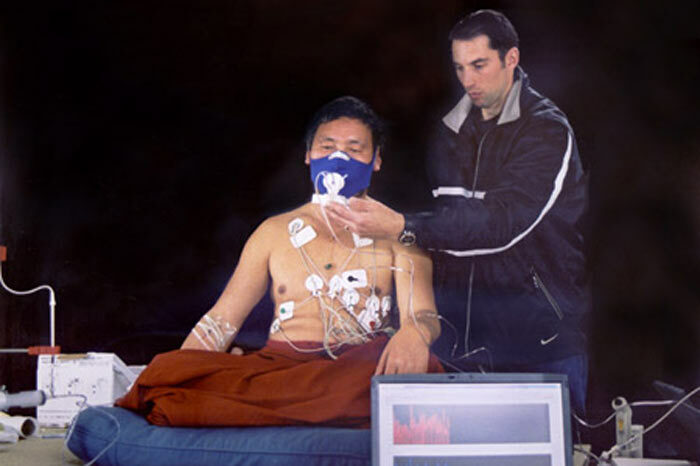 Work in Davidson’s lab indicates a connection between meditation and resilience. A response to stress becomes problematic when someone perseverates, or has an emotional reaction long after the problem has ended. In the brain, this shows up as the prolonged activation of a region known as the amygdala. อย่างไรก็ตาม นักจิตวิทยาและผู้เชี่ยวชาญด้านการนอนกล่าวต่อว่า “บางครั้งบรรยากาศรอบตัวที่เงียบหรือเสียงดังจนเกินไป ก็เป็นสาเหตุหนึ่งที่ทำให้นอนหลับยากได้เช่นกัน แต่ถ้าใครที่ไม่สามารถทนอยู่กับความเงียบได้ แนะนำว่าให้คุณลองเปิดวิทยุหรือเปิดพัดลมเบาๆ ก็สามารถเพิ่มความง่วงได้เช่นกัน นอกจากนี้เสียงคลื่นทะเลก็เป็นสิ่งที่ช่วยให้คุณนอนหลับได้ง่ายขึ้น หรือแม้การนั่งสมาธิ รวมไปถึงการทำจิตใจให้ปลอดโปร่ง การนอนอ่านหนังสือเพื่อฆ่าเวลา หรือหลายคนอาจเลือกวิธีที่แสนเบสิกแต่ได้ผลจริง อย่างเช่น การเลือกหมอนที่เหมาะกับคุณ ก็เป็นตัวช่วยหนึ่งในการนอนหลับที่ดี ทั้งนี้เป็นการป้องกันน้ำหนักตัวที่เพิ่มขึ้นอันมีสาเหตุจากนอนหลับนั่นเอง แต่อย่างไรก็ตามระยะเวลาในการพักผ่อนที่เหมาะสมนั้นควรอยู่ในระหว่าง 6-8 ชั่วโมง ดร.ไมเคิลกล่าว”. Having a hard time resisting a doughnut or biscuits and gravy? 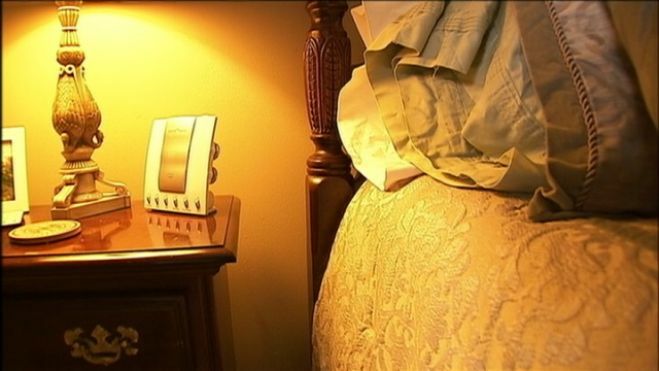 You may be hungry for sleep, and experts say there’s a big connection between your sleep and your weight, MyFoxAtlanta reported. The problem may be your bedroom. Over the last decade, several studies have shown how you sleep dramatically affects your weight. The less sleep you get, the more you crave high-fat, high-sugar comfort foods. Psychologist and sleep specialist Dr. Michael Breus said if you can solve your sleep issues, the weight will come off. The first place to start is to look around your bedroom for what’s working and what’s not working. “Walk into your bedroom and take a look around, and how does it make you feel?” Breus asked. If “stressed” is the answer, Breus said start rethinking your room — focusing on your senses. First is sight. “Too much light can actually make it difficult to fall asleep. So one of the things I do is I ask people to take the bedside lamp and use a 40 watt bulb instead of a 90 watt bulb,” said Breus. Next, Breus said, is to listen. “We know that if it’s too quiet, it’s hard to fall asleep, and if it’s too noisy it’s hard to fall asleep,” Breus explained. If you can’t stand the silence, turn on a fan or a sound machine. “Believe it or not, ocean sounds have been shown to help people fall asleep, any type of meditation, or relaxation, like an audio relaxation can also be quite helpful,” he said. If the TV helps you fall asleep, Breus says leave it on. Next, think about your bed. “And most people don’t think about this, but your mattress and your sheets have a lot to do with you how sleep,” Breus added. จิตแพทย์ชื่อดังผู้หนึ่ง หมอเกลิน ลูอิส บอกแนะนำว่า ให้หันไปออกกำลัง ทำสมาธิ หรือการสนทนาบำบัด อาจช่วยให้จิตใจค่อยคลายทุรนทุรายลงได้. I’ve reported previously for Mental Healthy that people with severe mental illnesses who take anti-psychotic drugs have a significantly reduced life expectancy. Now for the first time a new British study, published in the British Medical Journal, has established that anxiety and depression can also lower life expectancy — though not so dramatically. Researchers at University College London and Edinburgh University analysed statistics from the decade from 1994 to 2004 with a sample size of nearly 70,000 patients. They discovered that even people with mild, rather than moderate or severe, anxiety and depression, have slightly reduced life expectancies. The researchers ensured they took into account other health and lifestyle factors such as exercise, weight, diabetes, alcohol consumption and smoking. Whilst the causes of the link are not clear in this study, it is thought, that a deterioration in physical health caused by psychiatric medications is primarily responsible for reducing life expectancy in people with schiozphrenia e.g. by developing cardiovascular (heart) problems or diabetes. Paul Jenkins, chief executive of the charity Rethink, told BBC News: “Sadly, these findings do not come as a surprise. “While this study looks at depression and anxiety, people with severe mental illnesses such as bipolar disorder and schizophrenia die, on average, 20 years earlier than the rest of us. It’s an absolute scandal. Charlotte Fantlli from Mental Healthy says: “Whilst these finding make sad reading, they are also positive in the fact they wake us up to the real ‘physical’ side of mental illness. Hopefully this will make doctors keener to treat mental health problems with the same importance as physical ones. Mental Healthy are firm believers in aiding recovery of mental illness with a positive lifestyle. Good diet and exercise can dramatically increase life expectancy, please see our food for good mental health and fitness sections for more information. Can psychological distress increase your risk of dying early?